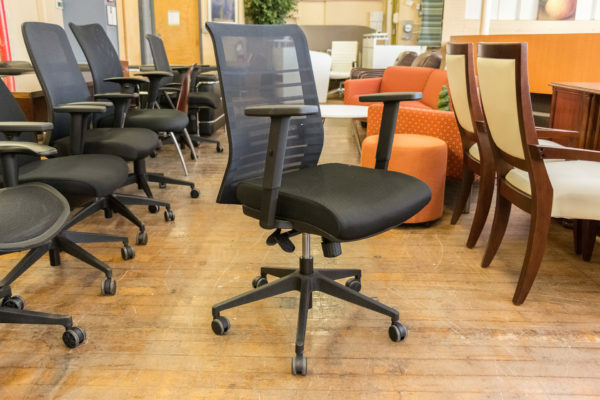 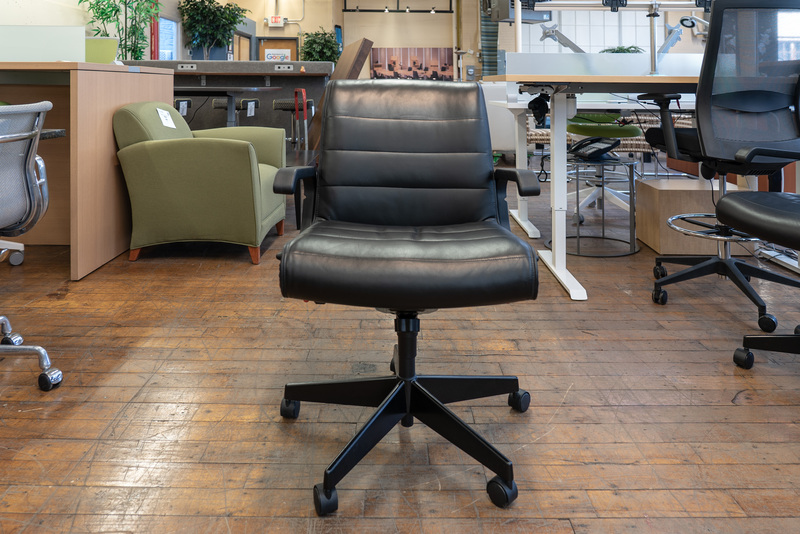 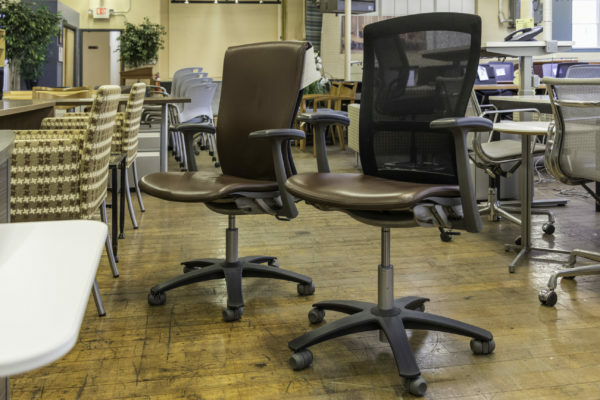 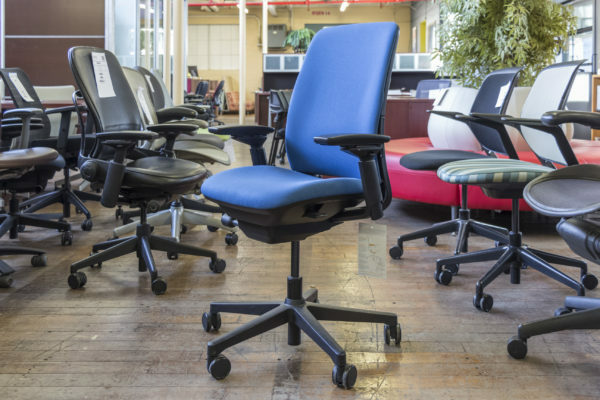 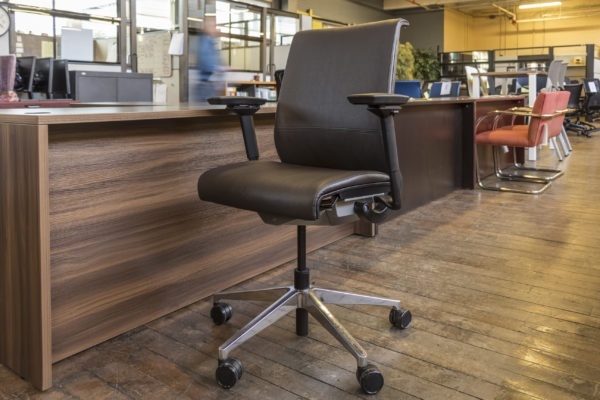 The Sapper chair is the perfect balance of legendary design and ergonomic comfort, reflecting the corporate images of the most distinguished financial, accounting and law firms. 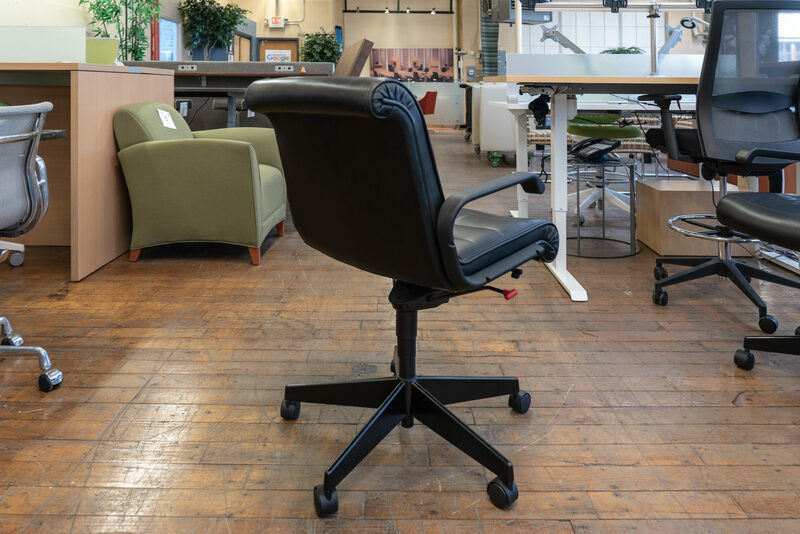 The hallmark of Sapper design is a streamlined profile enhanced by hand-finished details of channel stitching and rosette pleats, and the designer’s signature red lever controls. 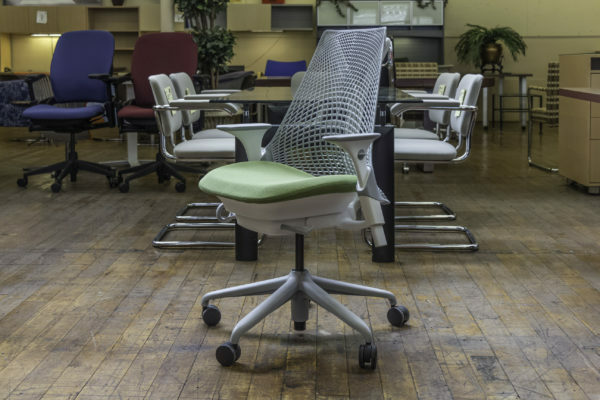 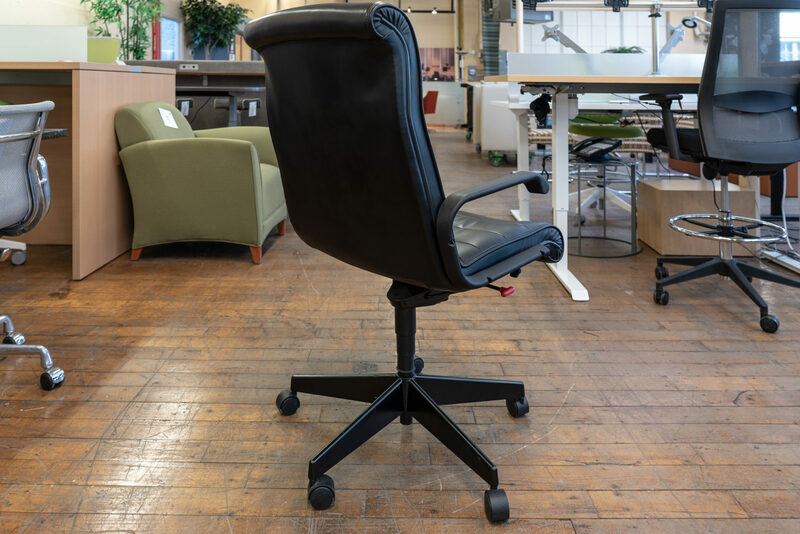 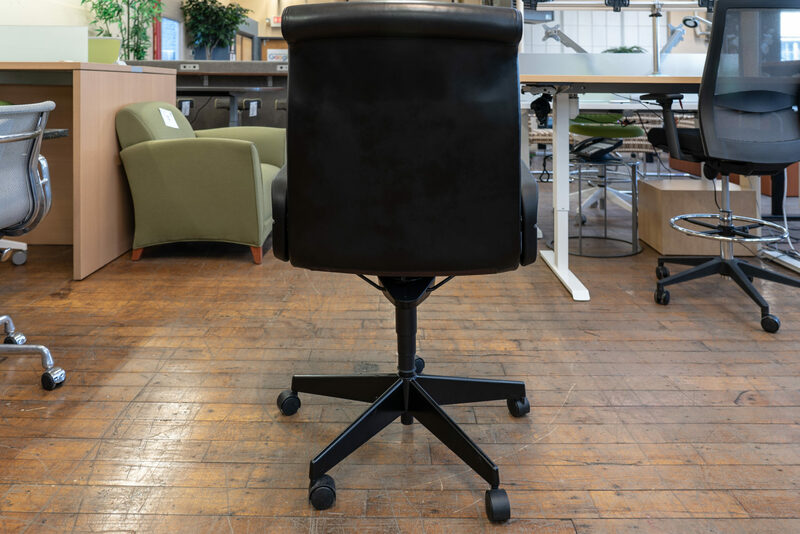 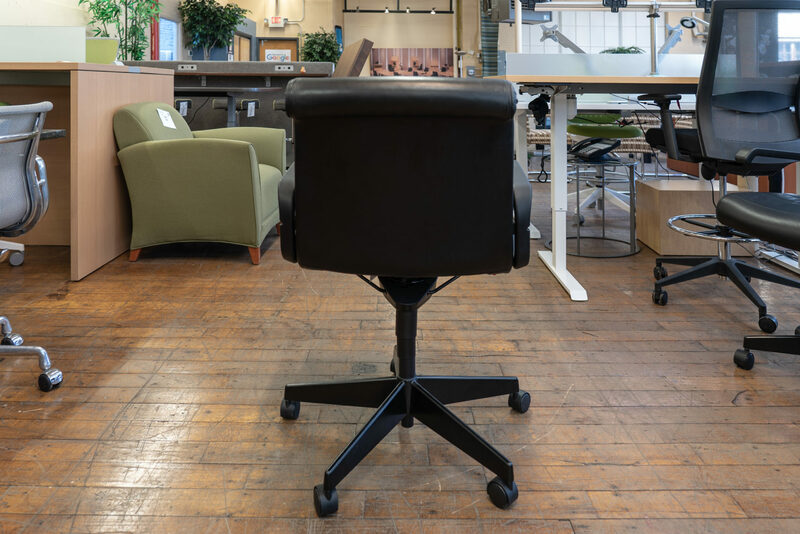 Beyond aesthetic beauty, Sapper’s sleek, one-piece shell is fitted with the ultimate in ergonomic features, including adjustable lumbar support, forward tilt, sling suspension mechanism for resiliency and generous seat pan for freedom of movement. 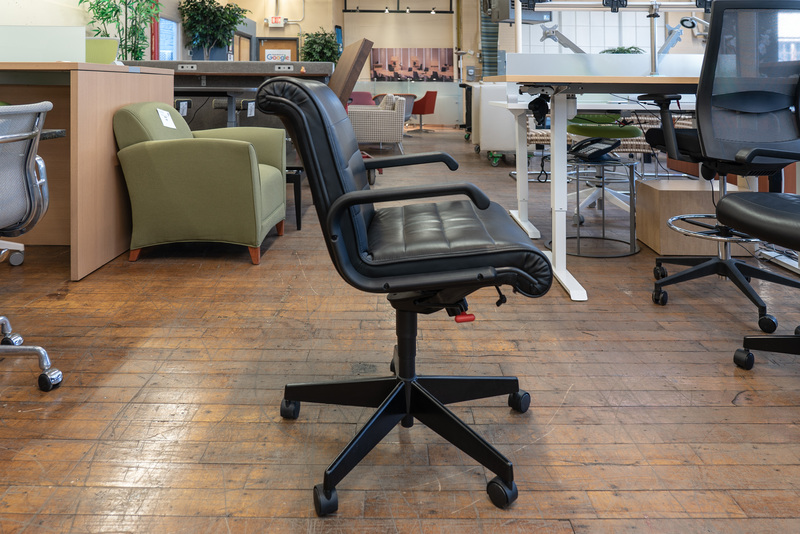 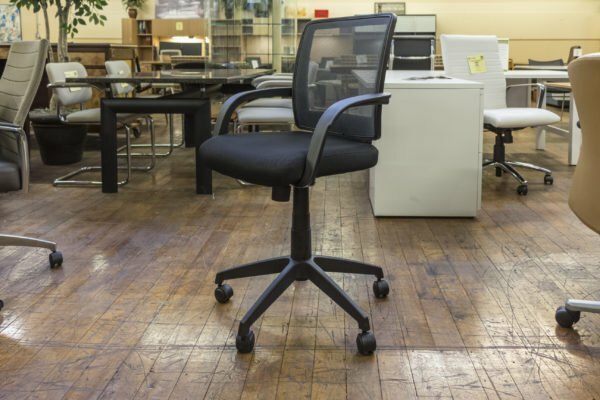 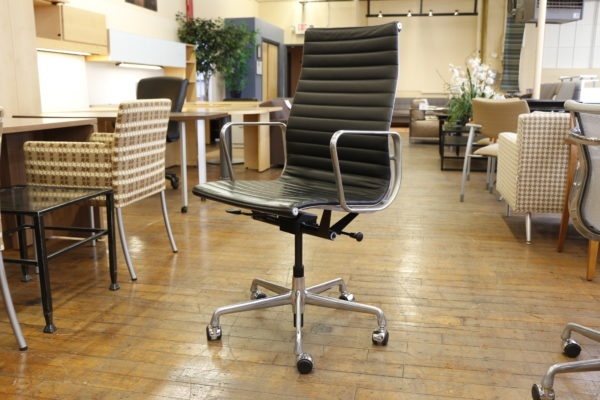 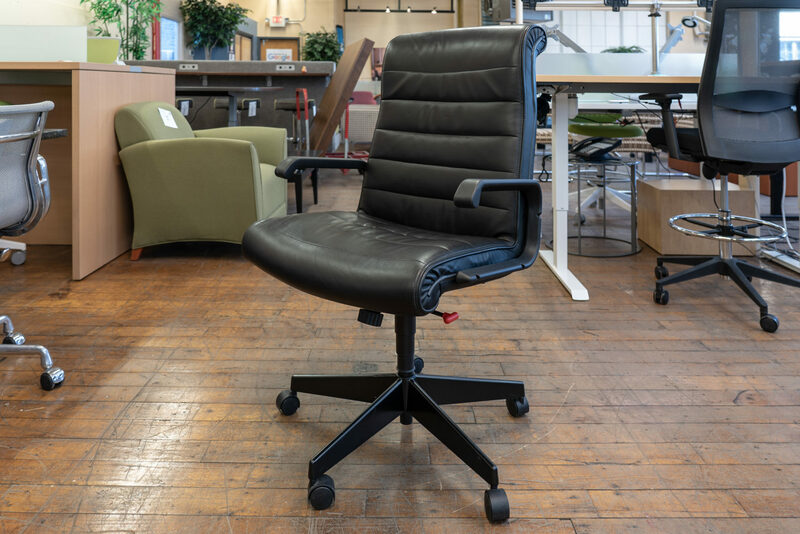 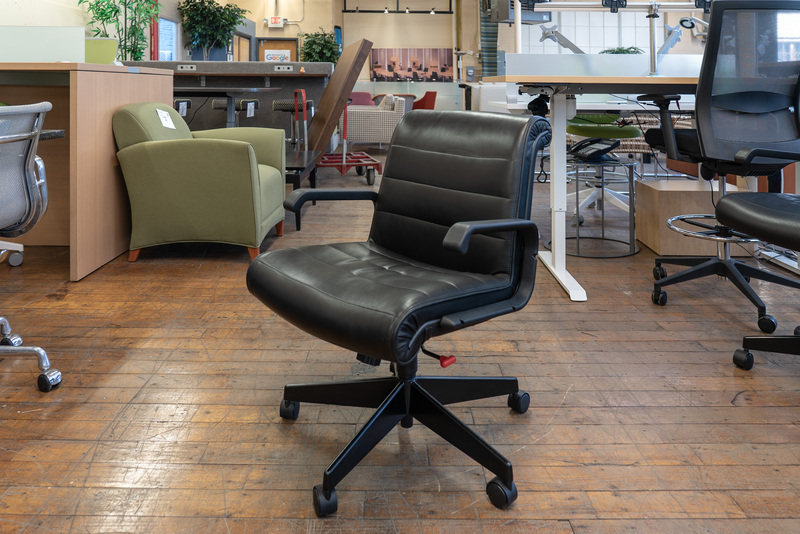 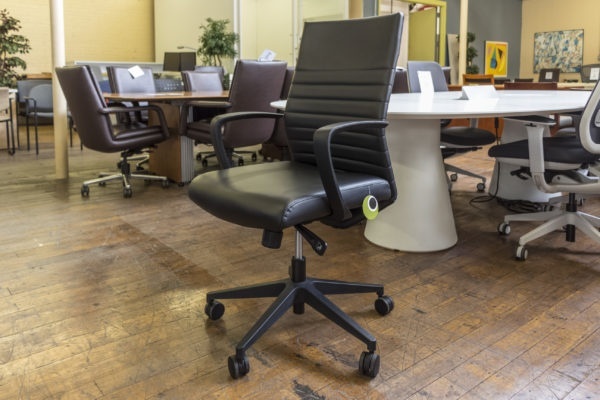 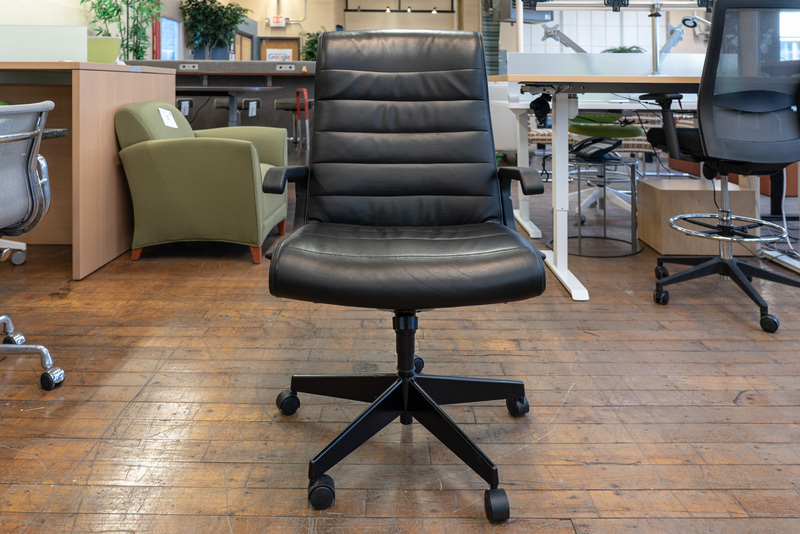 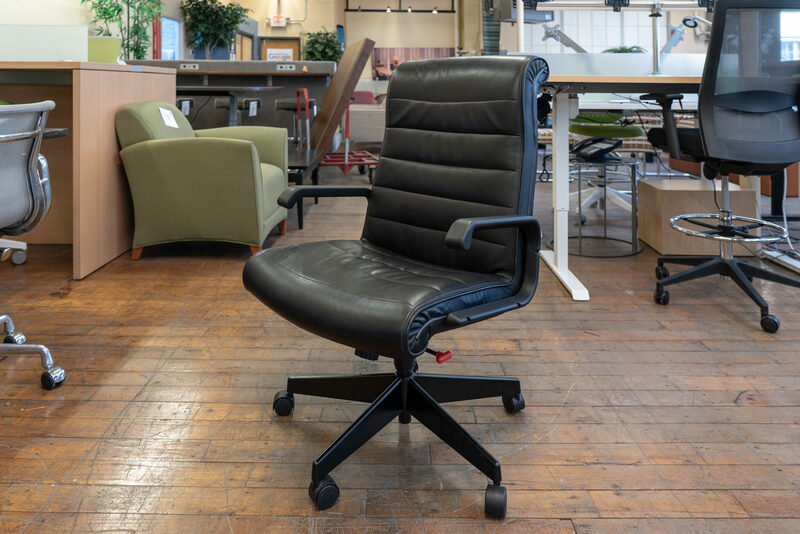 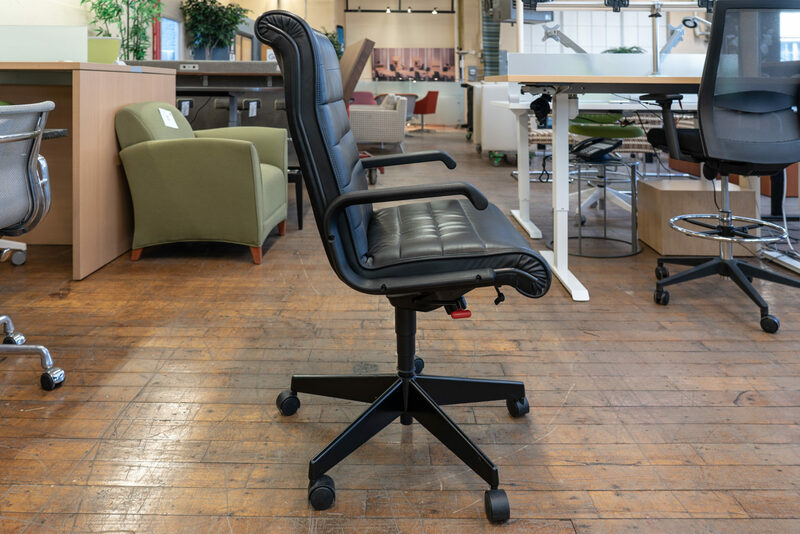 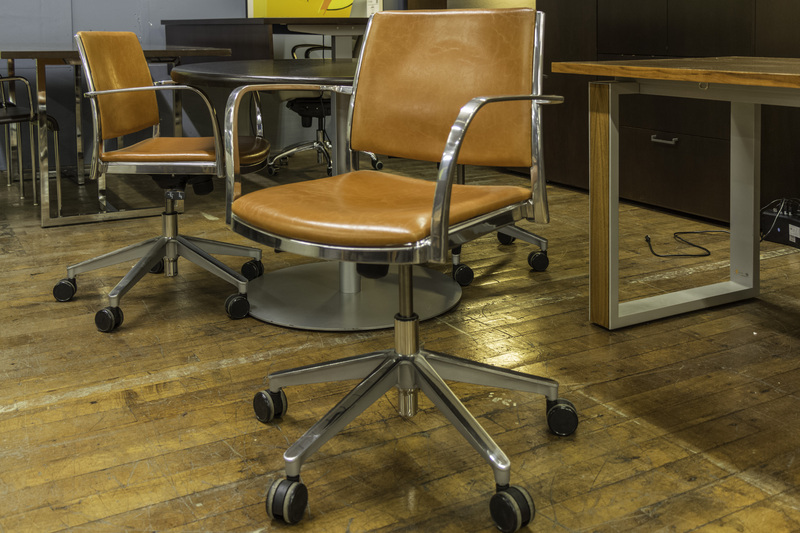 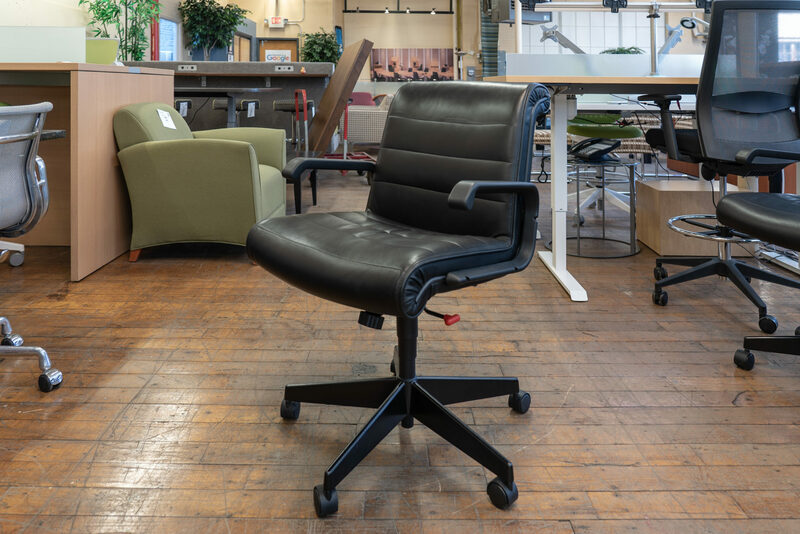 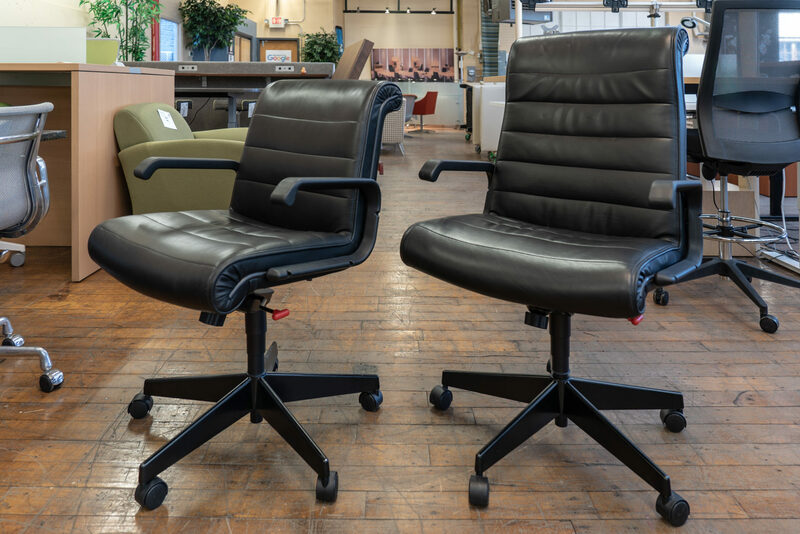 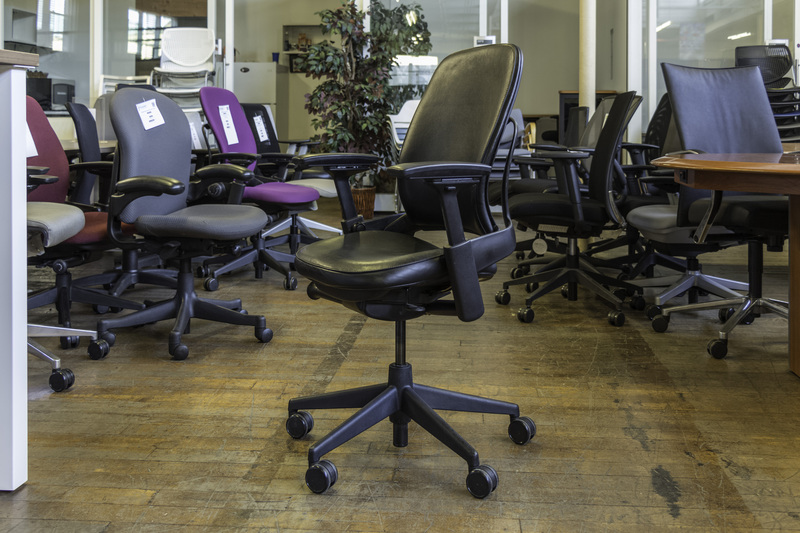 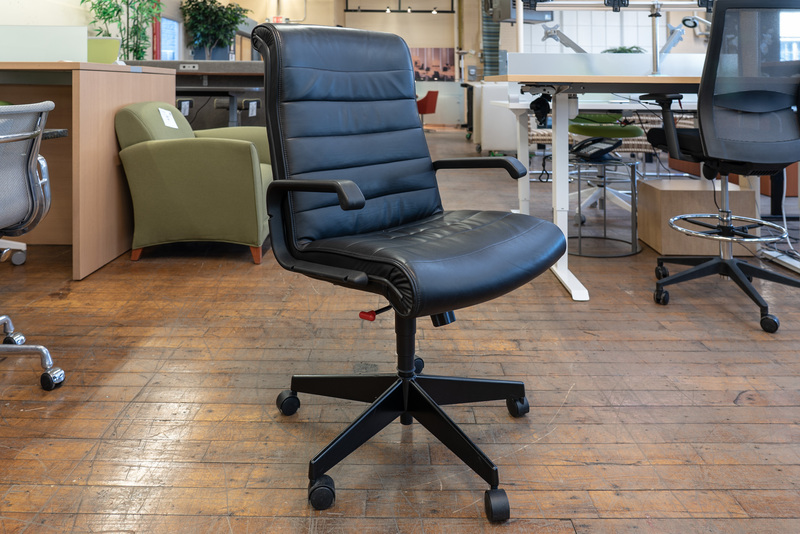 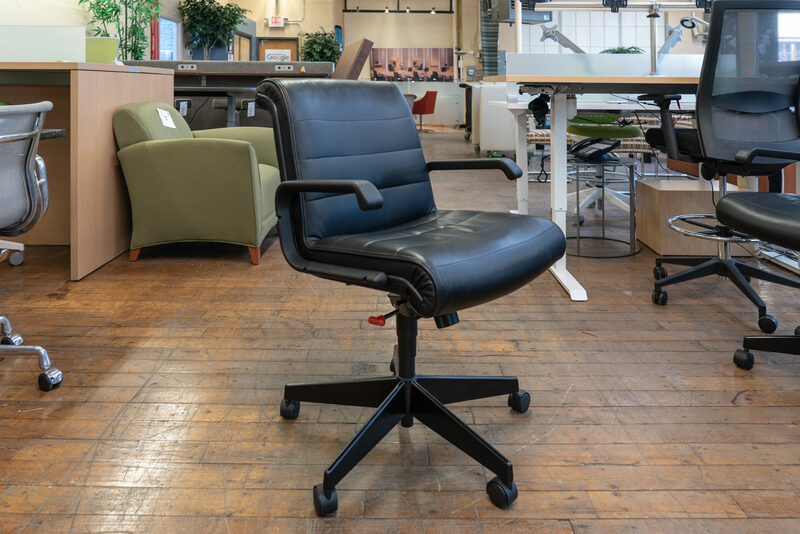 Knee tilt recline mechanism and waterfall seat edge enhance circulation. 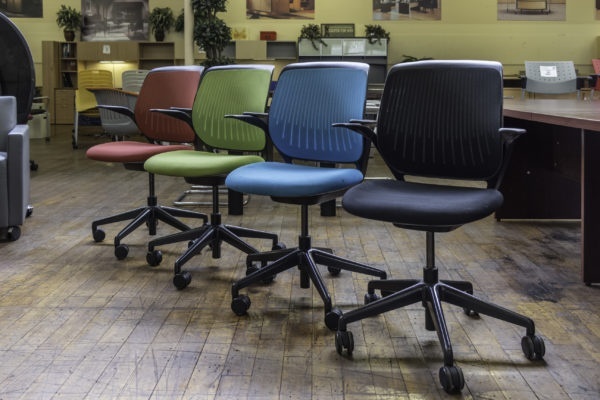 Comfortable, sculpted, high-resilience foam assures uniform support.